As I'm sure many of you have noticed by now, BRaysball Talk has been practically dead for over a year now. A post may be posted here or there, but I'm not posting regularly as I was before, and I didn't do Moment of the Year for the 2014 season. The simple reason for this, is other interests in the "real world" have drawn me away. I've been hanging out with friends and volunteering at my local high school. What this means is I haven't had the desire to write anymore, I kept waiting for it to return, reading Rays news and thinking "Do I have an article idea?" then saying "Nope." and moving on. Just coming across on the news wire on Twitter, Jon Heyman reports that Joe Maddon as agreed to manage the Cubs in 2015, officially ending the Joe Maddon era in Tampa Bay. More details will be added to this article as available, so check back as you can. Was the David Price trade meant to hurt the Rays? That would make one heck of a national headline if true, wouldn't it? But let's think about this. Back when David Price was traded, the Rays were in the midst of a comeback from their slow start to the season were closing in on a .500 record. We were very much still in the race. And then BOOM! David Price was gone. The rest of season, as we know, was down hill from there. The Rays did manage to hit .500 but never above it and finished 8 games under .500 with a record of 77-85, good bad enough for 4th place in the AL East. The immediate reaction to the trade was of shock and awe. Especially with the initially perceived small return. Many writers blamed it on them holding on to David for too long. But that reasoning never did sit well with me. Now with Andrew and Joe gone, I can't but wonder in passing, "was that trade meant to hurt the Rays?" It only seems sorta logical to me. Let's face it, that's three very huge cogs in the Tampa Bay baseball machine gone within four months. 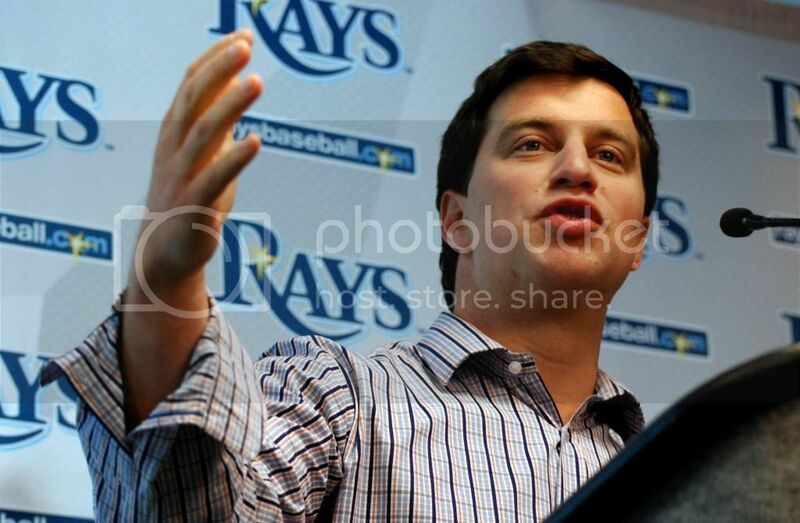 And if Matt Silverman can't bounce the team back like we expect, it could be the death blows to baseball in Tampa Bay. The conspiracy theory gained traction this afternoon with rumors that the Rays had talks with Montreal. Though the Rays deny it. And I don't know if to believe it, though I want to. The Montreal rumors have gone on for years, and Rays management has always stated they intend to stay in Tampa Bay. But what if this was the first three moves that indicate the Rays have given up on Tampa Bay and are trying to move? What if? Do I believe this conspiracy theory I have wrote here? No. Not really. But it is something to ponder. The Rays season was recovering like it had in past seasons, only to be derailed by the trade. It didn't seem like a smart trade to me at the time, and it still doesn't. Even in spite of Smyly doing better than Price the rest of the season. Your team was in the middle of a good push and you mess with their heads by trading away their ace? One of the most liked guys in the locker room, and you trade him? That doesn't seem like smart Rays baseball to me. Sure, the Rays would have never been able to pay David. But he was there and the team was winning. Why would you mess with that unless you were trying to hurt the team? I wager his worth would have been the same come the offseason. 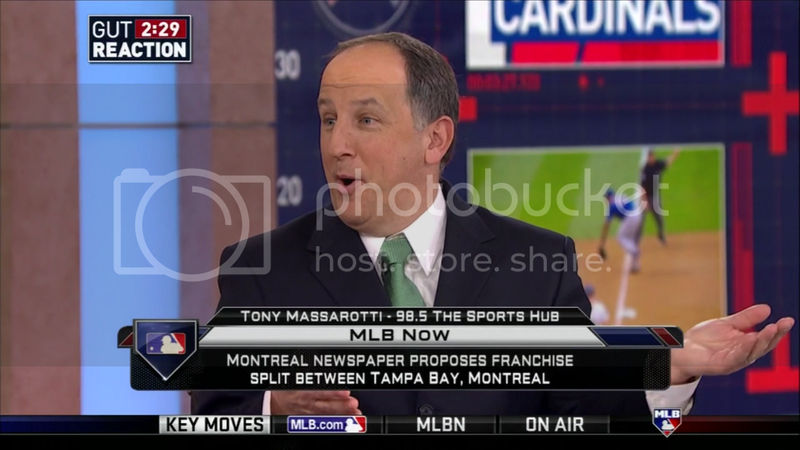 Now the Rays have Cobb, Silverman and no manager amongst swirling rumors they're talking to Montreal. Something about this just doesn't sit right with me. I could be wrong, and I hope I am. But we've been on the brink of baseball not working on Tampa Bay for a while, what if the Rays have given up? Like I said, I hope I'm wrong. But it's something to think about going forward. If you haven't heard by now, Andrew Friedman has left Tampa Bay for greener pastures in Los Angeles with the Dodgers. With LA obviously being a bigger market, he will have a much larger payroll (around $200M according to Cork Gaines) to play with and no longer be limited. After such a disappointing season this year, I know that I was looking to Friedman to fix what he could this offseason and make the 2014 campaign an anomaly. Unfortunately, I think it will be the first of many to come. Just a little update on the website. 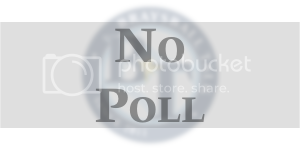 We will no longer be posting any updates to our Google+ page. We are ceasing this simply due to the lack of follow, and interaction on the page. We will be continuing our posting to our Twitter and Facebook pages. Yesterday, the preliminary 2015 schedule was released. It's preliminary schedule, so things could change, but let's take a look at what we have for now. Well that was long and painful. Over four hours and the Rays come away with a loss. And why? Because of the Rays ever prevalent inability to be clutch as a team. A problem persistent since Derek Shelton's arrival in 2010. You don't draw 11 walks as a team and leave 11 on base and win. You just don't. This game should have been so far out of reach that the Abreu grand slam shouldn't have mattered. Let's delve deeper now.